Rochford Street Press is proud and slightly surprised to announce the double launch of: P76 Issue 6 (The Lost Issue) – Chris Mansell to launch – & THE SELECTED YOUR FRIENDLY FASCIST edited by Rae Desmond Jones. SUNDAY 21 OCTOBER 2.30PM FRIEND IN HAND HOTEL GLEBE. P76 was founded by Mark Roberts and Adam Aitken and the first issue was published in Spring 1983 and over the years has featured work by some of the leading poets and writers of the time. Over the next 8 years another 4 issues were published. Issue 6 of P76 was scheduled to appear during the summer of 1992/93 but, due to a number of issues/incidents and circumstances, it never appeared. Now almost 20 years later P76 Issue 6 is about to finally appear. P76 magazine was an influential literary journal during the 1980′s and the publication of the lost issue 6 will provide a kind of ‘time capsule’ highlighting some amazing writing, some of which would have been lost if the issue didn’t finally see the light of day. Issue 6 has been edited by Mark Roberts and Linda Adair. It contains work by M T C Cronin, Adrian D’Ambra, Rae Desmond Jones, David J Cookson, Gary Dunne, James Bradley, Coral Hull, Margaret Bradstock, John O’Brien and joanne burns. Review of Victor Kelleher’s Wintering and Andrew McGahan’s Praise. Cover Design and art work by Narelle Adair. Artwork by Karin Jackson and Lucie Adair-Roberts. Issue 6 will be launched by Chris Mansell. For further information on P76 Magazine go to http://rochfordstreetpress.wordpress.com/p76-literary-magazine/. An announcement about submissions opening for Issue 7 will be made after the launch. 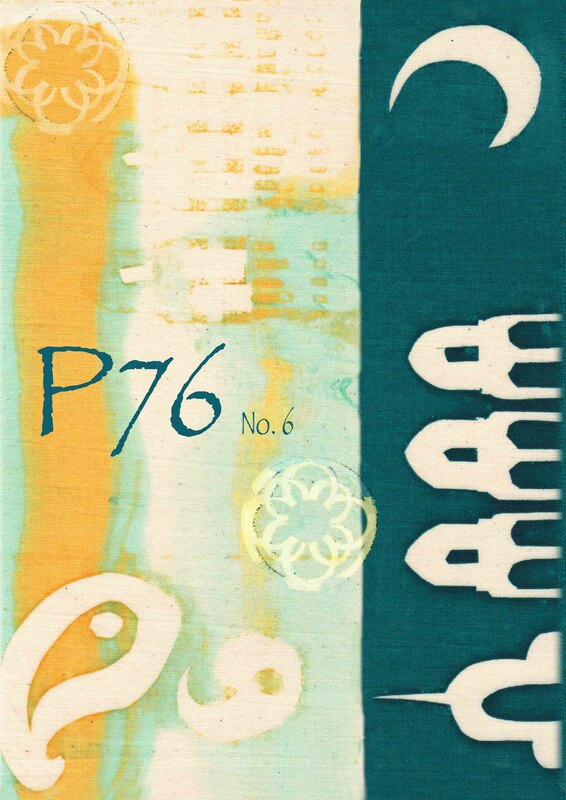 P76 Issue 6 will be available for purchase from the Rochford Street Press On-Line Shop later this week: http://members.optusnet.com.au/rochfordstpress/. This entry was posted in P76 and tagged .Narelle Adair, Adrian D’Ambra, Andrew McGahan, Coral Hull, David J Cookson, Gary Dunne, James Bradley, John O’Brien and joanne burns, Karin Jackson, Lucie Adair-Roberts, M T C Cronin, Margaret Bradstock, Praise, Rae Desmond Jones, Victor Kelleher, Wintering by Mark Roberts. Bookmark the permalink.